How Raising Happy Chickens came about. About Cath: helping make the world a better place, one chicken at a time. 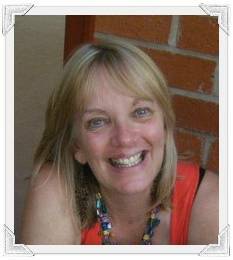 “My name is Cath, and I’m a chicken-holic”. There. I've said it. It can't be helped. It's just the way it is. If you’d told me only ten years ago that I’d be obsessed with chickens and qualified in their welfare, I would have laughed out loud. That just wasn’t me. I'm a city girl, born and bred in Liverpool, England. I liked my garden intact, thank you very much. I liked the flowers blooming nicely and I liked the peace and quiet of reading a book in the early evening sun with a glass of wine in my hand and my dog by my side. I knew nothing about chickens, or smallholdings, or growing my own veggies. It just didn't compute with my heels and workday suits. Compost was something I bought at the garden centre and chickens were something nice on the barbeque. And writing a website about them? Ha! I could just about manage to turn on the computer and open "Word". 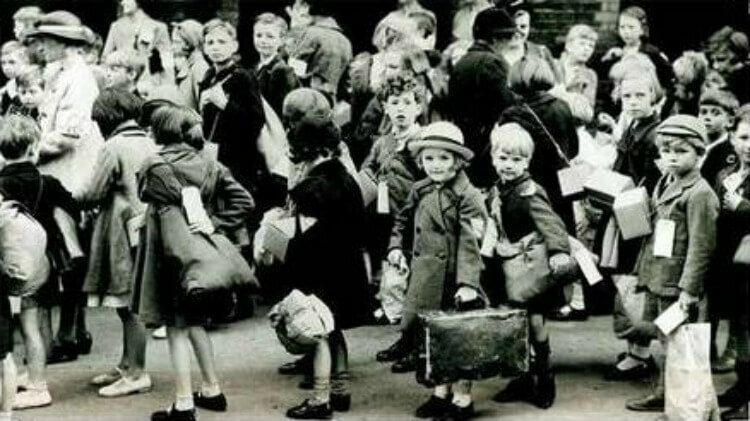 But things have changed - a lot - since those days! Now, I'm even certified in chicken welfare and behaviour! I have a number of degrees in modern languages, psychology and business studies from various different universities in the UK, France and Spain. But this certificate is my all-time favourite. 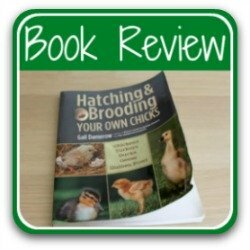 I undertook a course at the University of Edinburgh, Scotland (UK) in chicken welfare and behaviour. I didn't do it for the certificate - I did it so I could provide my flock with the best care. 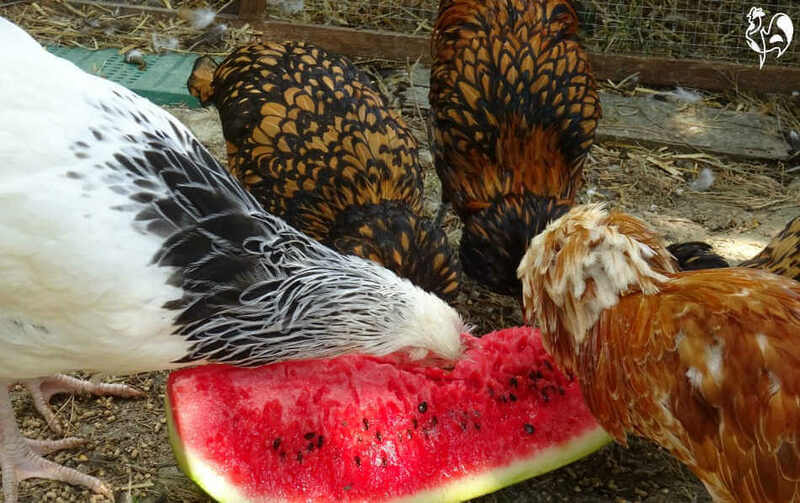 Having it ensures that I share with you information about chicken keeping which is based on properly researched evidence provided by scientists and chicken keepers both qualified and expert in poultry husbandry. I don't rely on hearsay. I check all the information I provide on this website. It's from recognised authorities. Experts in the field. Our flocks' lives are too important to rely on anything else. 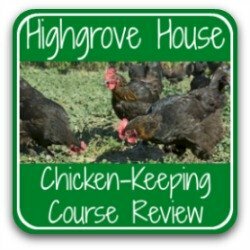 Read more about my formal education in chicken welfare. Chickens were a part of my family history - but not in a good way. 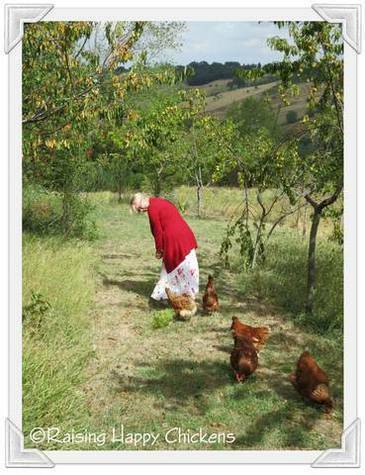 My only contact with chickens before I began keeping chickens ten years ago was my mother. No, I can’t even begin to say it … set to work … wringing the poor chooks' necks. My mother went to a chicken farm in 1939, but not in a happy way. Honestly. No kidding. If she were here, she would tell you the tale herself. It left an indelible mark on her life. And to tell you the truth, it wasn’t a great start for me in terms of wanting to raise happy chickens, having a mother who used to wring their necks. Things were not looking great. (It was, naturally, early retirement. I'm not old. Well, not very). It's funny what life throws at you. And what you choose to throw back. I left a job I had really grown to dislike and my husband Mike and I made a life-changing decision. We would leave the rainy skies of England behind and move to live in Italy. Which we did. But not to a city - oh no. We fell in love with a tiny village - population 536 - in the heart of Le Marche, which no-one has ever heard of. (It's in central eastern Italy). It's a tiny, rural community which takes great pride in upholding its traditions. Take a look at the short video below. It was filmed after the huge earthquakes which hit the region in August and October 2016. You'll see the enormous wooden supports holding the village church together. But the village spirit can't be dampened, even by that. Watch the celebration at the end of the village wine harvest. Even the little ones join in! My "informal" chicken education began here. Not only did we fall in love with the village - we fell in love with a valley just behind the village. And with an old farmhouse. Which had a lot of land. And I'm not talking a nice, manageable, serene type of garden. Oh no. This is seventeen acres of madness. And we have a woodland where wild boar and deer and a lot of porcupines live. (Non-bonus - there are also foxes and pine martens living there. Foxes and pine martens like chickens. but not in a good way). Oh - and we have another piece of land we thought would make a good golf course. Except neither of us plays golf. And it also has - yes, you guessed it - chicken coops. The shady, stone-built coop I ignored for years! That's because in this region, every family keeps chickens. They don't understand why anyone wouldn't. 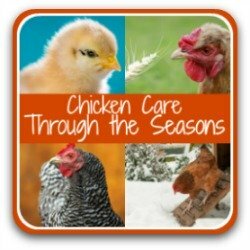 The knowledge about raising and caring for poultry here is second to none. It's in their blood. And I am luky enough to be able to learn from them. 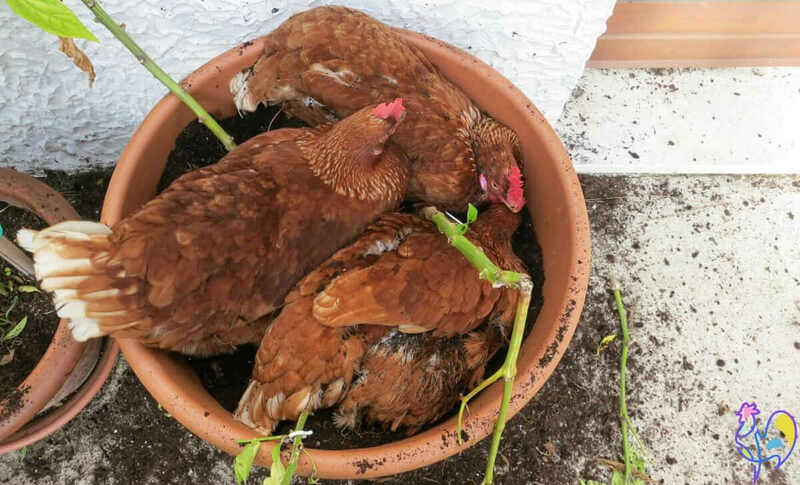 The traditional ways of chicken keeping. Ways based on knowledge, and received wisdom. All backed up by my own formal learning. And given to you, for free. For a long time I ignored the chicken coops. After all, we had an olive grove to get to grips with. As far as I was concerned, olives were things that came out of a jar, or possibly from a bin at a local farmer's market. And olive oil was very nice - from a bottle. 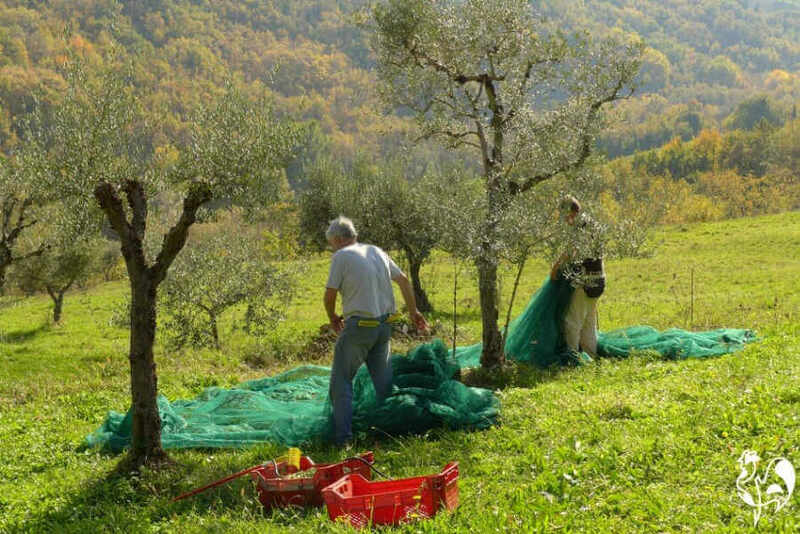 All our olives are harvested by hand. It's hard work, but in beautiful surroundings. And who knew that chickens would like to join in?! 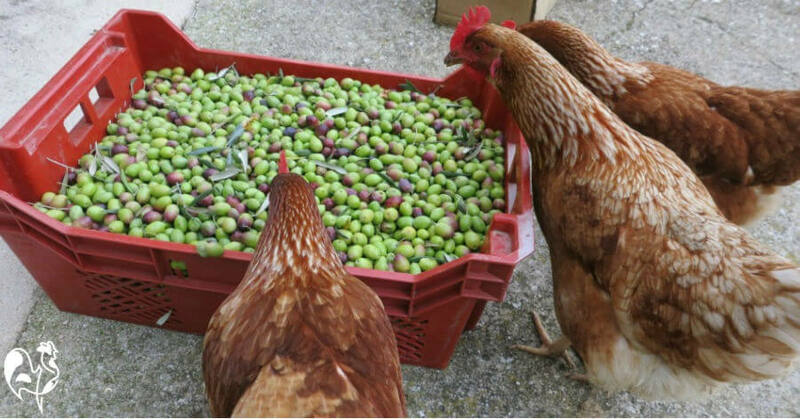 The chickens like to join in when it comes to harvesting olives from our olive grove! So then, when we had learned all about olive trees, and fruit trees, and raising vegetables (from the ground - ha!) I started to look at the chicken coops. This is some years later, you understand. Four, to be exact. I realised that these were not just any old chicken coops. 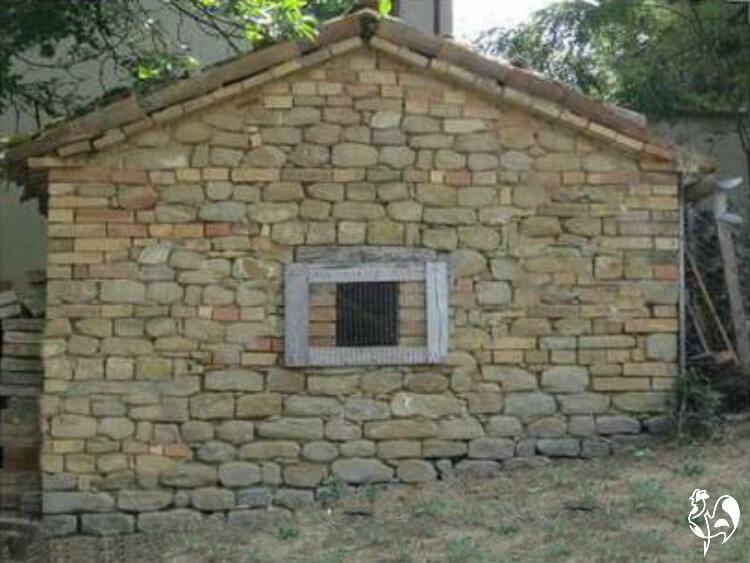 They were stone-built, terracotta roofed chicken coops. With beams. Wooden beams. 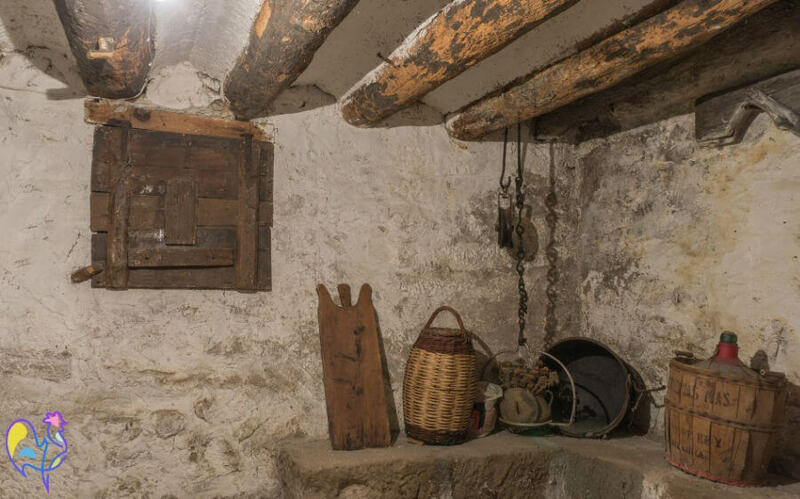 Old wooden beams. And oak doors. Real oak, not plastic oak. Inside my chicken house before I worked on it. A luxury coop with wooden beams! They were full of cobwebs, of course. But they had a lovely outlook, which made them very desirable chicken coops, in my book. Any chicken would be proud to live there. So I cleaned them up. And then I bought chickens. 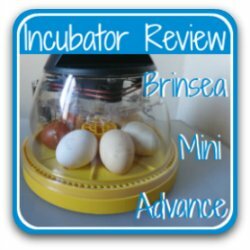 I discover chicken-keeping is fun. I'll admit - it was scary. I had no idea what to do with chickens. What will they eat? Do I need to entertain them? Will they get bored without a television? I needn't have worried. They didn't like T.V. And they eat more or less anything they can get their beaks into. But - no more nice flower beds. Or pots. They like to eat them. Or dust bathe in them. Or both. My plants are not my own any more! No more quiet evenings sipping a glass of wine in peace. They like to cluck. No more high heels. They sink in the mud. And write a website about them? How? What would I say? How would I say it? What if no-one ever finds it? What if people do find it - and hate it? Well - you know what? Love the noise (it's actually very soothing, once you get used to it); love the fact that my chickens make me laugh. Wasn't terribly keen on the eating the flowers part, but found ways around that. I discovered how to write a website. 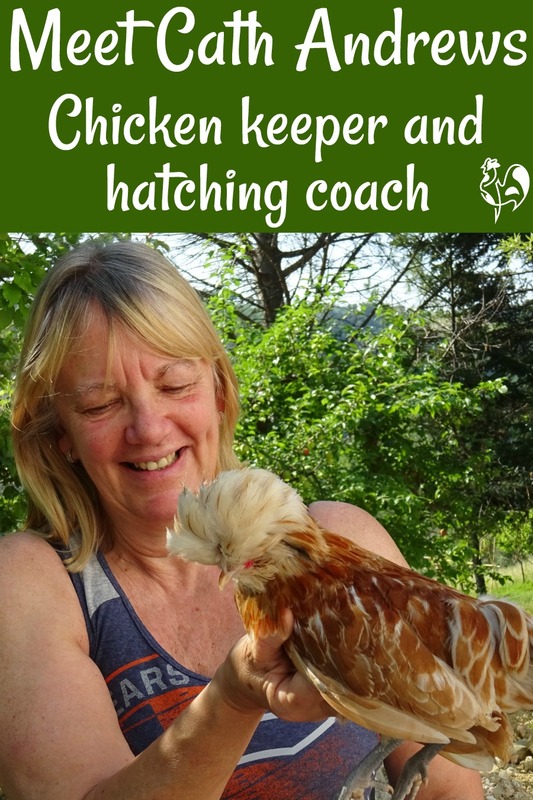 I learned how to share my passion for keeping chickens with other people - people just like you. And I loved that, too. All the stress I'd felt at work went. Just like that. And it's never come back, all those years on. I love the fresh eggs, love knowing that the food I eat is grown in my very own garden, from soil fertilised by my very own hens, love how much my chooks appreciate the occasional treat (ask my husband about that - he would say the very regular treats). I love spoiling my chooks with treats! 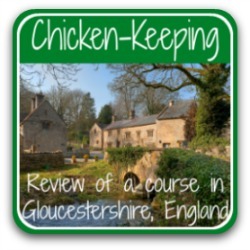 And love, love, love hearing from people all over the world who want to learn more, about chicken-keeping. 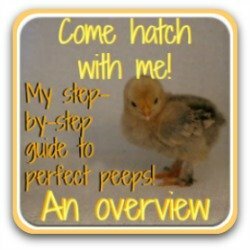 About hatching little fluffy chicks. About writing a website - a website which keeps my chickens in food, and me in my favourite drink of all time - Prosecco. And which gives me soooooo much more. Including enough money to support some charities. Like the British Hen Welfare Trust, who re-home ex-battery hens. 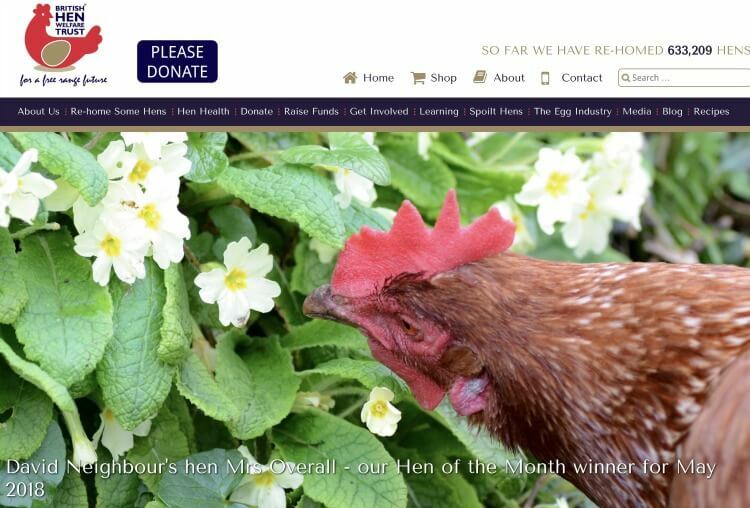 What better charity could there be for a chicken-holic? I want to share my knowledge about raising happy chickens with you - to invite you into my world, because it's a happy, (c)lucky world. And it's a world that you can have too. (Well, you might not want to move to Italy. There are frustrations). But you might like to know something about how you can keep chickens too. Perhaps you're feeling you'd love to, but you don't know what they'd eat. Or how to keep them entertained. Or whether they'll be bored without T.V. Perhaps, like me, you're retired and you need something entertaining to fill your time - you think a few chickens might be the answer, but you're not sure where to start. Perhaps you'd like your children, or grandchildren, to learn more about what healthy food is, and where it comes from (and it's not the supermarket). Perhaps you'd like a way of giving your family good quality, fresh, no-chemicals-or-genetically-modified-stuff-used-here-thank-you, food. Or perhaps you're not able to keep chickens yourself just yet, so you just dream of the day when you can keep your own flock. That's a good dream to have. If any of those things ring a bell with you, you're in the right place. Oh and I almost forgot, in my chicken-induced excitement - I can also point you in the right direction about how to build a website. No, not a website - a business. Because my chickens also help me earn money online. (If you're interested to know how - check it out at this link). You and I together can make the world a better place - one chicken at a time! Because I've been there. I've learned. My chickens have taught me. So have my chicken-obsessed contacts all over the world. And so have all the courses I've taken. All the books and articles I've read. All the poultry shows I've attended. All the experts I've learned from. I know it sounds corny (and maybe just a little demented), but chickens and my website, have added so much to my life. Health, laughter, a lot of learning, and a lot of friends. It's not hard. It doesn't matter where you live, or whether your home is a castle or a caravan. It doesn't matter if you're very rich or struggling to make ends meet. It doesn't matter if you're seven or seventy. I've been there. I know what it's like. I don't pretend that chickens have been in my family for generations. They haven't. But I do know about them now, enough to help you if you'd like to give it a go. Seriously - you can place your trust in me. So come on in. Let's do this together. It's fun, it's healthy, it's not difficult. And I know you'll love it as much as I do! If you enjoyed reading this article, try these next!